PlayoutONE Pro is here. Find out what it’s all about. Love PlayoutONE but always thought it could do with a little more power and features? Well now it does. We have released the latest version of PlayoutONE and it’s amazing. It features a dynamic log meaning every hour is there, no loading in playlists like with PlayoutONE Standard. Any changes made on the dynamic log are immediately available on all other connected machines. Social media posting is now included. Post to your selected Facebook page or to your Twitter account directly from the log and utilise tags so you can dynamically post the names of songs and artists which are coming up. Rotators are regular items in your audio library but don’t have any audio on them themselves. You set them as a Rotate and assign other actual audio items to it which it will pick from in rotation. Early Extro Markers are a wonderful addition and allow you to set a position on oversweeps where you may have the start of the production being wet and the latter part of it dry like a music montage. Outputting Now Playing Meta to your broadcast endpoints is very important in the Day of Digital and using Dynamic Meta in PlayoutONE you can control what it being output during ad breaks for example. Nobody likes it when audio is missing. It causes problems like automated hours under running and can take live presenters by surprise. With the Missing Copy Report PlayoutONE will tell you what you’re missing. Merging spots and ad breaks into existing logs is possible thanks to the ONElog in PlayoutONE Pro. You can even re-merge into the current playing hour, if you need to, without disrupting the flow of the output. Mixing down your playlist or sections of your playlist is something that is incredibly easy in PlayoutONE. Simply select the range you want to mixdown or add Mixdown Markers to break the mixdown up into separate files. One of the things that make your station sound slick is riding the volume of music under production or vocals. 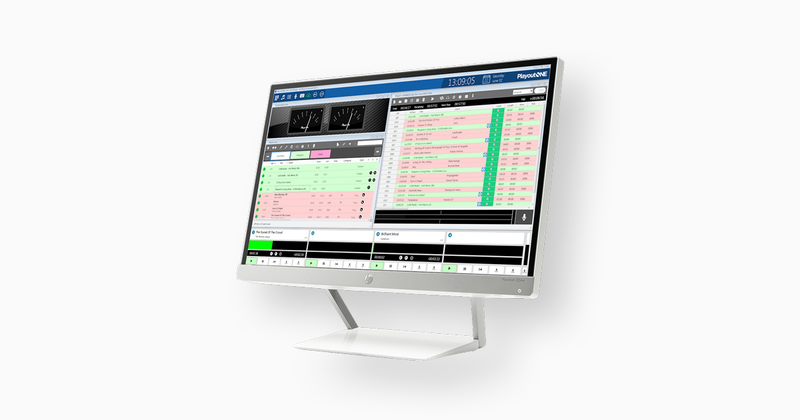 Using the built in ducking PlayoutONE offers, your output will sound like the presenter is always there. Getting your playlists to run to a specific time is easy using the RunToTime command within PlayoutONE. When encountered it analyses forward until the next marker and stretches and fades to fit everything in. Want to know more about PlayoutONE Pro or want to see a demo? Then contact us – we would love to chat about what you’re up to.